I do think that when looking at winter kit its worth buying a few key items that do the job you need and do it well. I also want to find items that look nice and have good styling and that isn’t always so straight forward! 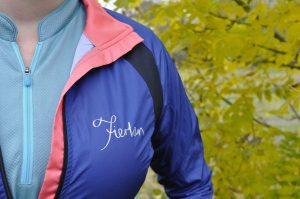 I spend quite a lot of time looking at cycling kit online and I’m always interested to find new brands too and so earlier this year I was interested to come across Fierlan. 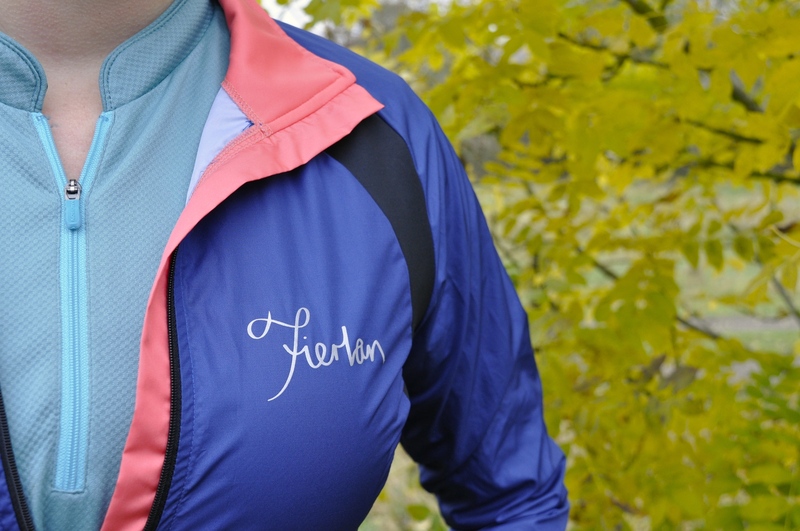 Fierlan are a cycling clothing brand offering a range designed with women in mind. Having received and tested this jacket I can say that this is something that they have done and also have done well. Product is manufactured in Italy and designed by Lucy Gardner in Bristol. The item I’m writing about is Fierlans ‘layering jacket’. It retails at £100 and is described as being windproof, waterproof and also is designed to pack away into a jersey pocket. 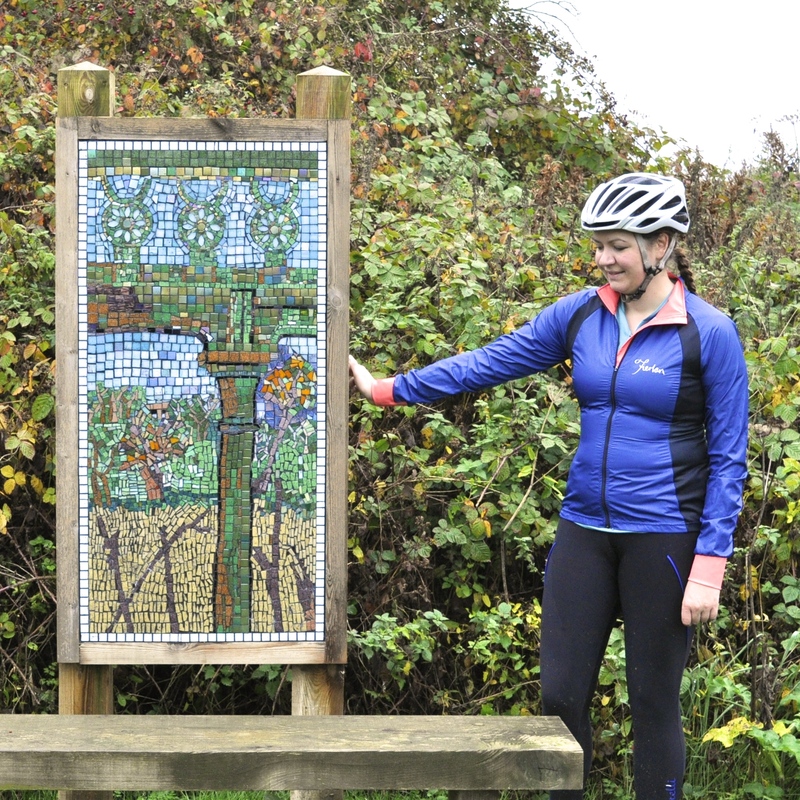 Im a size 14, the jacket being worn in the photographs is a large and its true to size, for me its a good fit over a jersey and arm warmers, but also leaves a room for another jersey or layer underneath. The jacket is cut for a female figure, taking into account the female body shape. This actually made me realise just how badly some of my other jackets fit. Not just the shape of the jacket, but the sleeve length and also the fact that its long enough at the back too. The colours have been added in a flattering way, the black inserts along the side and the coral just adds a more feminine touch. Im a fan of coral anyway and so the navy and coral for me was a feature I really liked. The material also has a beautiful feel, a feel of good quality. I wore this jacket on an autumn day, as you might tell from the photos and during this time of year it can be really hard to get what you’re wearing just right. When it rains you can be dry, but its not always breathable and that can be very uncomfortable. With this jacket I found it to be breathable and also waterproof when tested in showers. Overall a great item to be able to pack into a jersey for long rides or for days with unpredictable weather, but also to wear just on cooler days too. It isn’t one of the cheapest products on the market but actually its good to find a higher end cycling product targeted specifically towards the female rider which performs well. I will be interested to see what is to come from Fierlan in the future.